Manila (DWDD) - Coordination between public and private sectors, and not subsidy from the government, is needed to make the country’s economic sectors competitive in the upcoming ASEAN integration in 2015, an economist from the Asian Development Bank (ADB) said during an ASEAN Economic Community dialogue here. Norio Usui, senior economist at the ADB, said providing subsidy is not really a solution to revive a dying sector or to enhance the competitiveness of an industry. He, however, noted that even those governments which give subsidy to industries still fail to improve the competitiveness of sectors. The ADB economist stressed that instead of giving subsidy, coordination among the government, business sector, and the academe must be hasten in order to enhance the local sectors’ competitiveness in time for the ASEAN integration. He cited the industry roadmap initiatives of the Department of Trade and Industry (DTI) in which the department encourages all industries to craft their own roadmap that would contain each industry’s vision, targets, and strategies for short, medium, and long term growth and would also indicate the required government interventions to help industries achieve their targets. Based on the roadmap presentation of each industry, their common constraints in enhancing their competitiveness include high power cost, customs regulation, regulations in the local government level, and infrastructure, among others. Most of these challenges do not need a direct subsidy from the government to the industry. 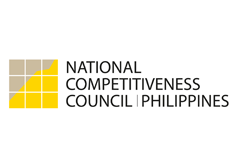 Usui disclosed that aside from DTI and the private sector coordinating with each other, it will be better if other economic managers such as National Economic and Development Authority (NEDA) and Department of Finance (DOF) will also cooperate and look into their capabilities on how to help each sector. Usui stressed that this coordination and cooperation between the government and business sector will prepare the country for the increasing competition once ASEAN integration takes place next year. The local sectors must enhance their competitiveness as there will be freer flow of goods, services, investments, and skilled labours with the 10 member-states of ASEAN as an offshoot of the regional integration.